Heat oil in a deep pan / pressure cooker. Add chopped ginger, garlic, green chilly, curry leaves and sliced onions. Saute until oil starts appearing. Add turmeric powder, chilly powder, coriander powder and garam masala powder. Saute for a few seconds and add chopped tomato. When the tomato gets mashed up, add in the mushrooms and potato. Mix well and stir for a minute. Add 1/2 cup water. Cook until the veggies are done or for 1 whistle if you are using a pressure cooker. Open the lid. Garnish with cilantro. Serve hot with chapatis. You can add 1/4 cup coconut milk for an extra taste. I love curry…just so good with rice. But I have never tried mushrooms in curry even though I love mushrooms. Would love to try that. Thanks very much for sharing. This is our family fav..love this combo very much! Looks so very delicious with perfect clicks!! Njan eppozhum ethe combi yil anu mushroom undakaru..adipoli combi alle ? 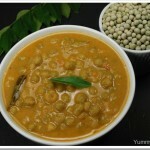 Adipoli combo ,love this so much,wonderful side dish for chapatis..
Curry looks awesome! Love the combo! I have never combined a mushroom and potato before. Looking forward to trying that! ithu kollamallo..ee combo ithuvare try cheythittilla…..
Looks so flavorful and rich, I love it. Never tried this combo.The curry looks delicious.Will try this soon. Mushroom potato curry adipoli. chorinte koode kollam. Never tried this combo..looks rich and delicious..yum! 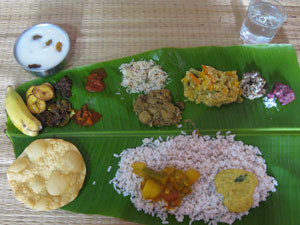 Excellent combo..perfect with choru,adipoli maya! This is the simplest yet yummiest mushroom curry. My last post was methi mushroom …. Lovely Click ! Simple n Easy mushroom curry…. I could easily finish that pot of potato curry! Looks so good! What a innovative combination … love the recipe n the wonderful click too ..
nice click as usual and a simple yet a good combination. Tried this dish yesterday. It was very easy and turned out good as well. Thanks guys for the recipe! i can see from the combination that the curry will be super yummy…nice recipe dear. Very delicious dish and happy to say it came out very well 🙂 thank you ! !